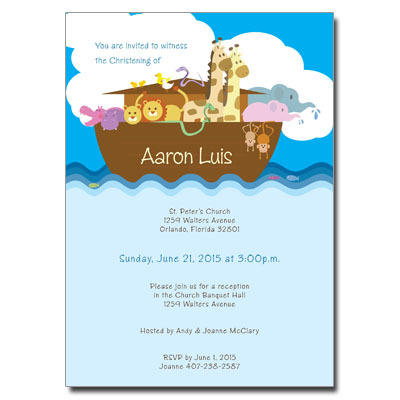 Celebrate your child's christening with this adorable invitation! Featuring an ark full of cute animals and a simple, playful font, this card will have your guests arriving two by two! Card measures 5x7.